Chinese New Year is a big event in Thailand. After Christmas decoration had been removed, everything is dressed into Chinese wear. Streets and buildings are starting turn in red and gold. 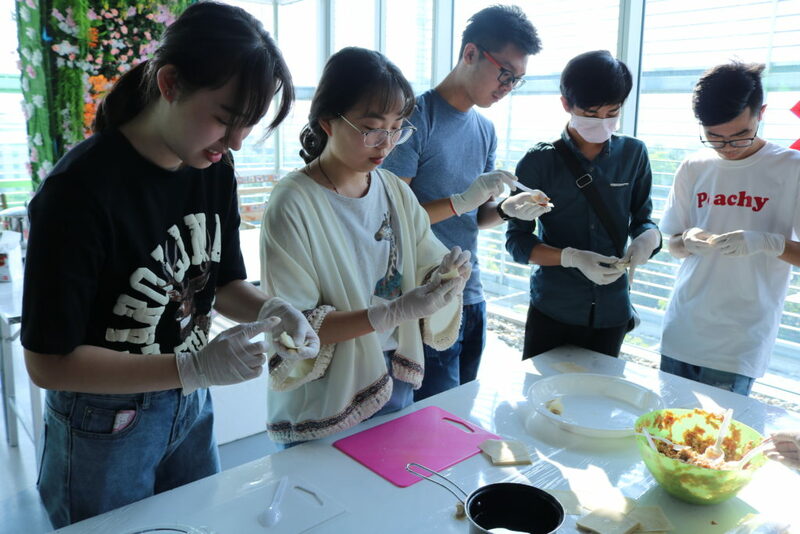 Rangsit International College also fully participated in celebrating the New Year of Pig and together with the Chinese College has organized entertainment for all staff and students. Chinese community is quite large in Rangsit University, around 800 students studying here and 100 coming every year. This time the most active part have prepared different performances showing the young Chinese culture. We could listen to pop and rap songs, got known traditions in new interpretations. Dr.Yang, professor of financial subjects, made a master-class of the best New Year’s foods: dumplings with pork. Simple dish is usually eaten with soup and toppings, such as soy sauce, ginger, pepper and seaweed. Prepared as much as they could, all event attenders could try Chinese classics. Chinese New Year is one of the large things that unites us and our international community in RIC. It helps to open up the basic attitudes of the culture. Sharing experience students learning tolerance, open-mindness and start understanding more about themselves.